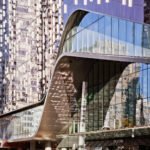 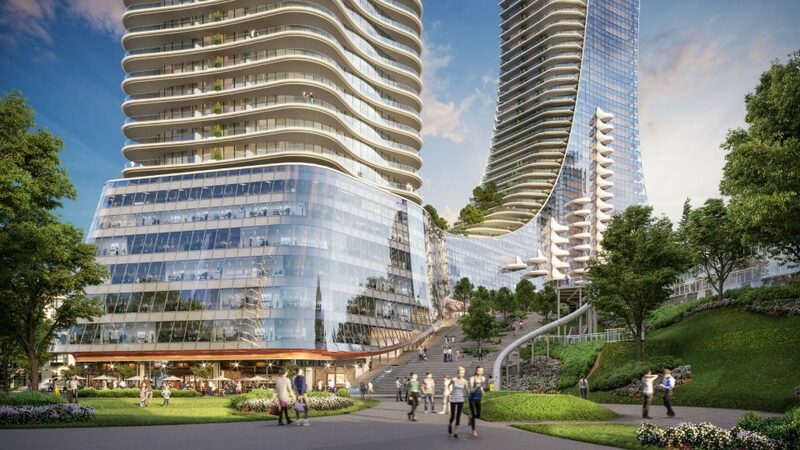 Detailed design guidelines for the redevelopment of Oakridge Centre have been released, with stunning new renderings of Vancouver’s most anticipated project. 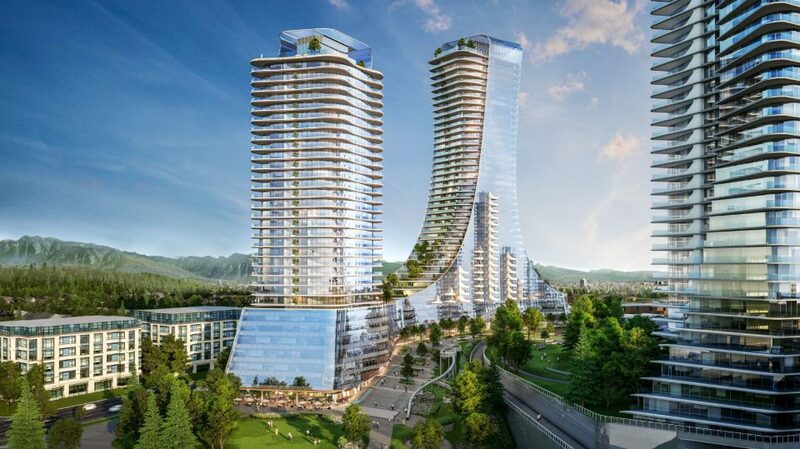 The redevelopment of the 28-acre Oakridge Centre by QuadReal and Westbank will add 2,548 new residential units, or 2.7 million new square feet of residential space. 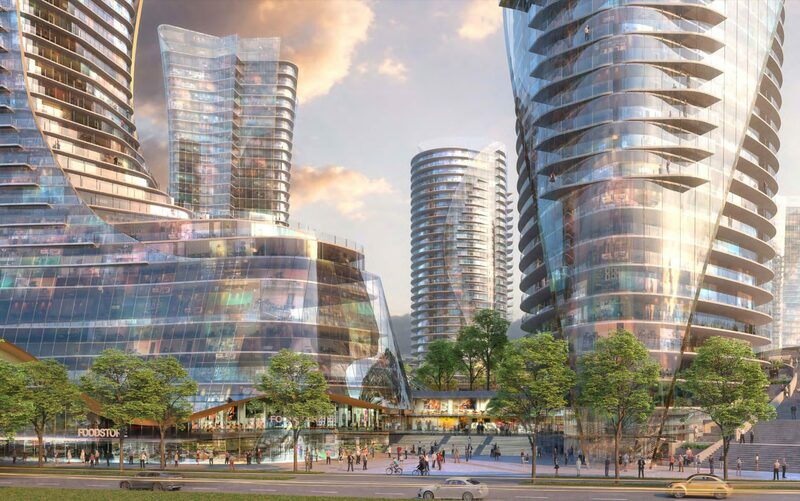 Over 800,000 sq ft of new retail space will also be added, plus 287,000 sq ft. of office space and 100,000 square feet of amenity space, including a new Civic Centre with a library, community centre and childcare facility. 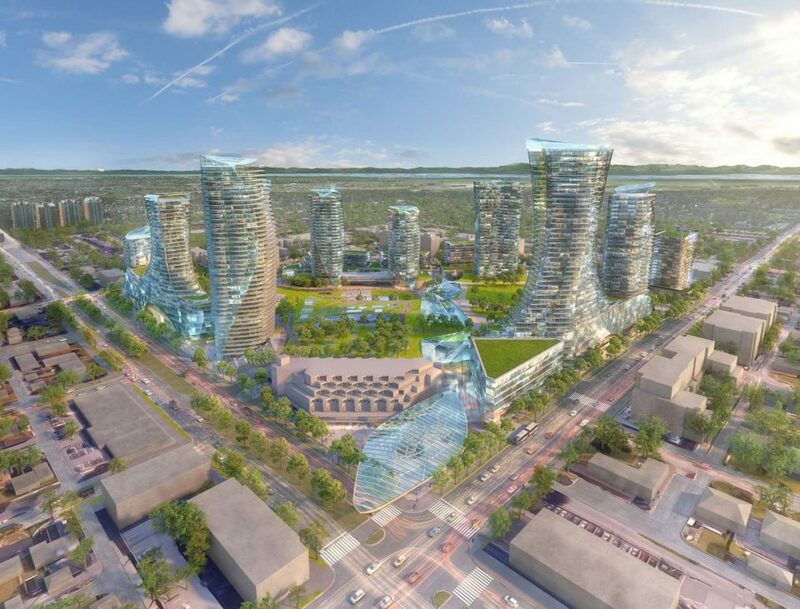 Nine acres of park space will be woven through the development. 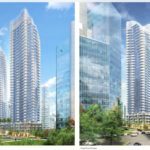 Two gateway towers near the corner of West 41st and Cambie will be the tallest on the site, at 43 and 42 storeys, and will be constructed in phase one. 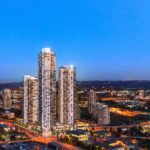 The gateway towers will make a “significant contribution to the beauty and visual power of the city’s skyline.” While the gateway towers will contain only market condo units, there will be 290 rental and 290 non-market units across the development once complete. 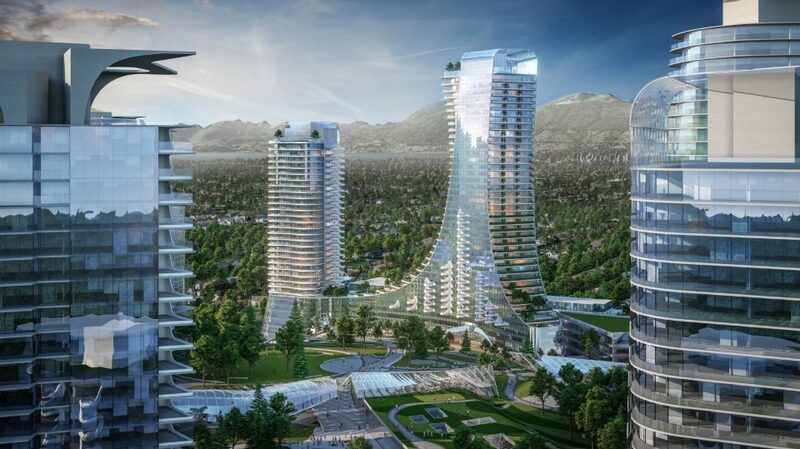 In total, there will be 14 new buildings constructed. 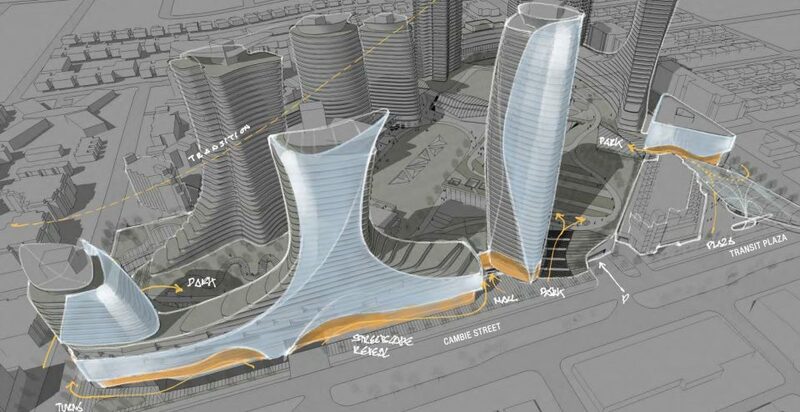 During the redevelopment, operations of the existing enclosed shopping centre will continue undisturbed. 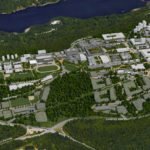 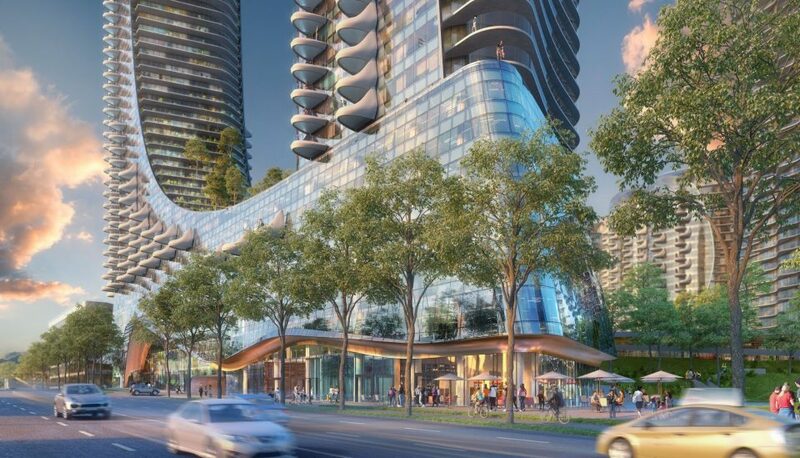 A development application has been put forward for buildings three and four of the Oakridge redevelopment, which will consist of one 32-storey tower (Building 3) and one 42-storey tower (Building 4). 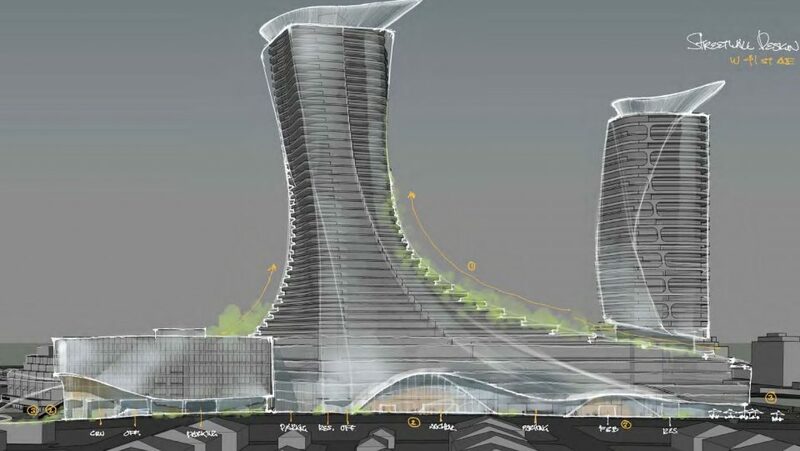 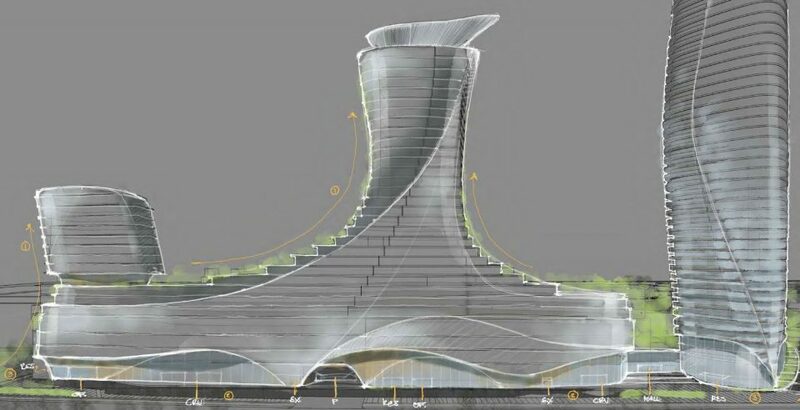 There will be a total of 504 units atop one podium containing retail/office uses. 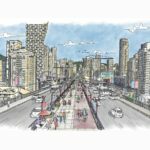 The redevelopment of Oakridge Centre will reinforce Cambie as a great street with a focus on street-oriented storefronts. 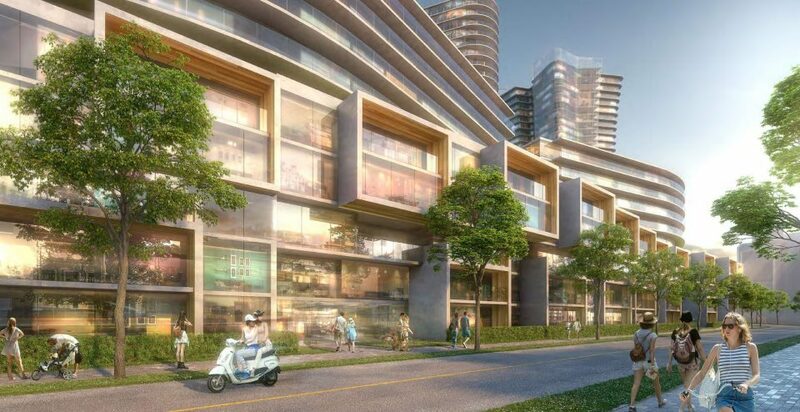 Anchor stores on Cambie Street will be visually and physically permeable, with inviting entries, views into and through the anchor spaces, and large display windows. 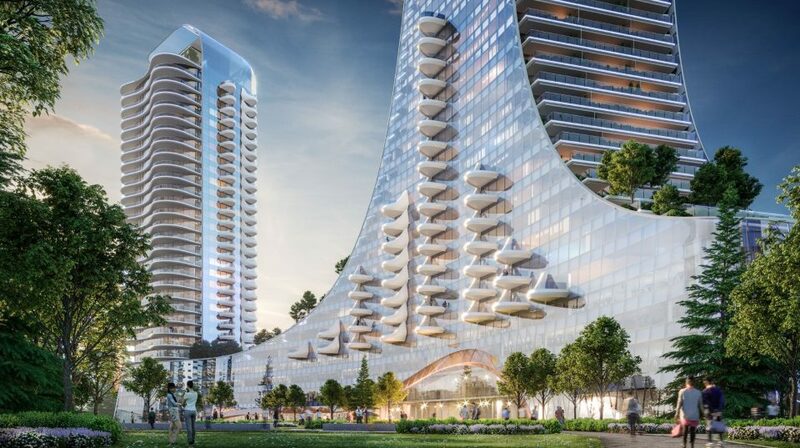 The Cambie Streetscape will be punctuated by a series of public spaces; the transit plaza at West 41st Avenue, a plaza at the mall entry aligned with West 43rd Avenue, and adjacent to the “Cambie Steps” — a grand staircase connecting to the public park above. 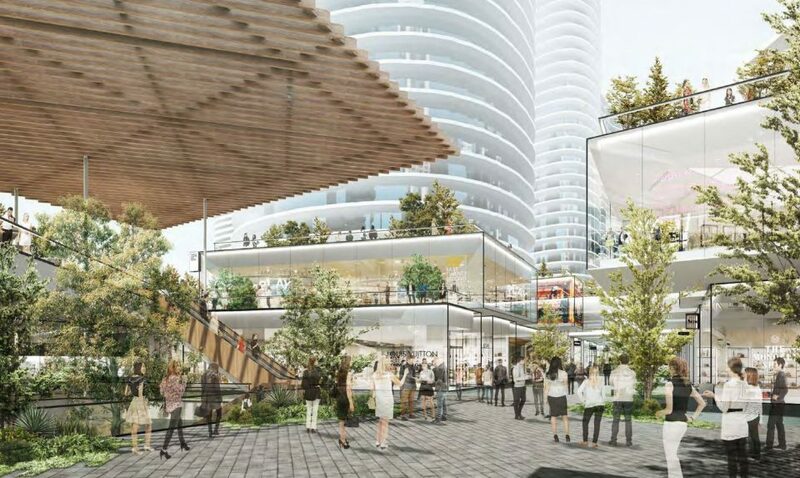 The “High Street” will be an open-air shopping street open to the public at all times. 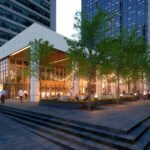 It will have a diverse mix of shops, cafes, and restaurants. 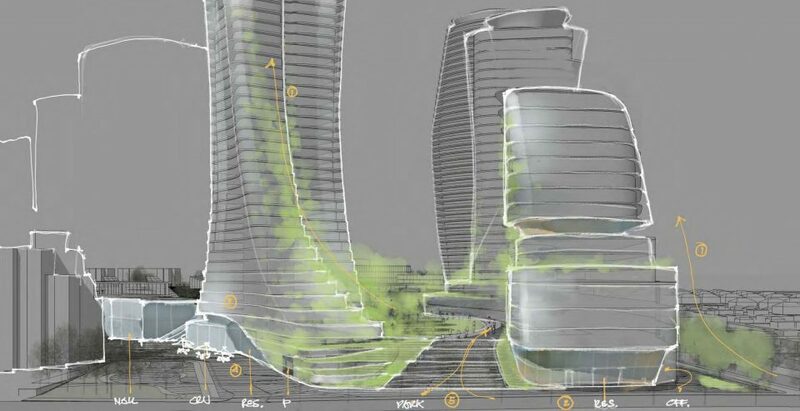 The architect is Henriquez Partners Architects, with landscape architecture by PFS Studio.